If you’re not a football fan and wondering what else to watch on Super Bowl Sunday, Animal Planet has you covered. For the last 15 years, the network has put their spin on the Super Bowl with a “game” between puppies that has become immensely popular over the last half-decade. The Puppy Bowl has expanded to include kittens, rabbits, chickens, pigs, hedgehogs, and more animals, and many non-sports fans will be tuning in to watch this instead of the Big Game. 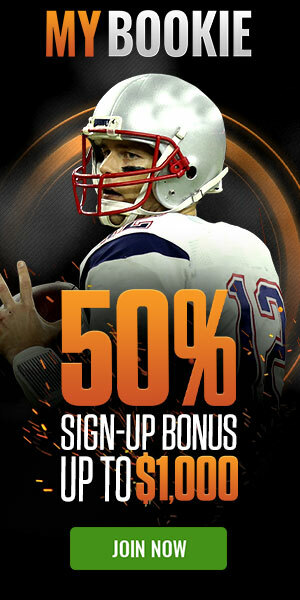 BetDSI, the only sports book with Puppy Bowl betting odds, has you covered if you want to bet on this too. Although this is the 15th Puppy Bowl, it is only the fifth time that it has been held in a competitive format. Team Ruff trounced Team Fluff, 87-49, in the first Puppy Bowl and repeated as champions with a 70-44 win the following year. That led to Ruff being favored by as many as 10 points in Puppy Bowl XIII as bettors thought that Ruff might be set up to continue dominating. Those thoughts were smashed when Fluff crushed Ruff, 93-38, and Fluff also won 52-47 last year. The series is tied at two entering this one. This year’s Puppy Bowl will be one for the ages. Animal Planet is starting to pull out all the stops, and there will be sloths, penguins, porcupines, and kangaroos at this year’s competition. That will ensure people continue to tune in, as this is now the network’s most watched show every year. We will also have special-needs dogs competing in the Puppy Bowl this year. There will be hearing-impaired puppies and three-legged puppies competing, and their participation will warm the coldest heart of anyone flipping through the channels. As for the game itself, the rules are largely straightforward. Any time a puppy carries a toy into the end zone, it counts as a touchdown. That usually leads to smaller dogs having the edge, as they are feistier and more active. They are more willing to grab a toy and run than bigger dogs, and that’s why the majority of Puppy Bowl MVPs have been smaller dogs. A terrier has been named MVP four times in 14 years, so that’s a great bet when looking at Puppy Bowl MVP odds. The broadcast crew is heavy on the puns, and you will hear a pun every 15 to 20 seconds if you watch the Puppy Bowl. They play for the Lombarky Trophy, and the terminology is littered with crossover puns involving either football or the puppies themselves, so if you’re not a fan of that type of humor you might want to watch the game on mute. This is one of the most ludicrous things to bet on, but my money is going to be on Ruff. They won’t lose three in a row (or Animal Planet won’t let them), and they will respond in a big way after losing the last two years to get the win and go ahead in the series.